Plaza Cinemas at Chapel Hill (500 Howe Ave., Cuyahoga Falls, OH) will be presenting a five-day-only special engagement of WILLY WONKA AND THE CHOCOLATE FACTORY in honor of the film’s 40th Anniversary. Starting Friday, December 16, 2011, the movie will return to the big screen and will be projected from a beautiful 35mm film print. 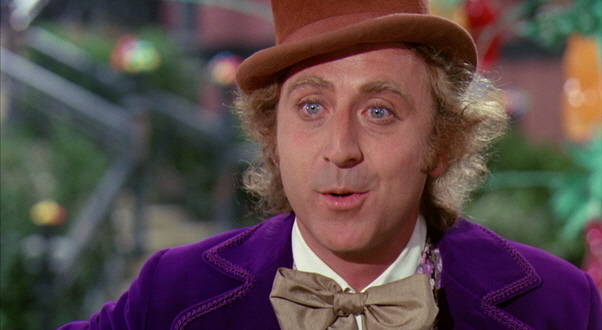 Featuring a brilliant performance by Gene Wilder as the titular eccentric confectioner, WILLY WONKA AND THE CHOCOLATE FACTORY remains one of the greatest family films of all time. With its Oscar-nominated score and the unforgettable Oompa Loompas, the film is as entertaining today as it was when it debuted 40 years ago. No “Golden Ticket” is needed for admission. Tickets are $9 for adults in the evening and $6.50 for matinees before 6:00 PM. Children 12 and under and seniors 60 and over are $6 all day. Tickets are available at the theatre box office and online at www.ClevelandCinemas.com.